Heating and Cooling Greensburg | Schultheis Bros. The Schultheis Bros. Co. has been heating and cooling Greensburg for over 70 years. What started out as a company in a small garage became one of the most trusted and reputable heating and cooling companies in the Greensburg area. Here at Schultheis Bros. Co., we provide more than just HVAC services, we have expanded to roofing and plumbing as well. With an A+ rating with the Better Business Bureau, you can trust that we will provide quality heating and cooling services with excellent customer service. If you have any questions about our heating and cooling services in Greensburg or if you would like more information, call us today at 724-216-4099. You can also email us at info@schultheisbros.com or fill out the contact form to the right and we will get back to you shortly. At Schultheis Bros. Co., we provide 24-hour a day customer service. That includes 24-hour phone support so you will never have to worry about reaching a voicemail when you need an answer the most. We also provide 24-hour repair services to give you peace of mind if your heating or cooling system has issues at the most inopportune time. Equipment Replacement – If you are ever in need of new equipment for your heating and cooling system, our knowledgeable technicians will assist you in selecting the best parts for your home. We offer a wide selection of replacement options. Preventative maintenance – Nothing is more important than the quality of the air you breathe and the relief it provides in the most extreme temperatures. We offer preventative maintenance agreements for your home or business to help maintain your systems efficiency and keep you comfortable. 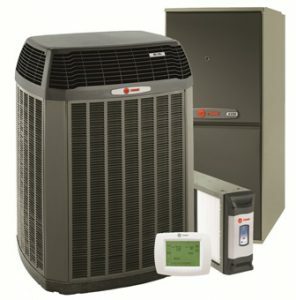 Complete System Installation – We can design a custom heating and cooling system to meet your home or business’s needs. Our consultants will personally assess your building and install the most suitable system for your home. If you have any questions or would like more information, call the trusted professionals of Schultheis Bros. Co. for all your heating and cooling needs at 724-216-4099. Or you can simply fill out the contact form or email us at info@schultheisbros.com and we will get back to you shortly.